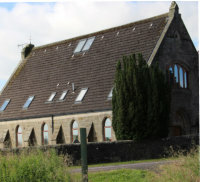 The Church at The Old Manse provides a unique, large, luxury, self catering property for exploring central Scotland. With five bedrooms; stunning open plan kitchen and lounge; galleried snooker area; and sauna and shower room, The Church at the Old Manse is a fantastic base giving easy access to Glasgow, Edinburgh, Livingston and Lanark. 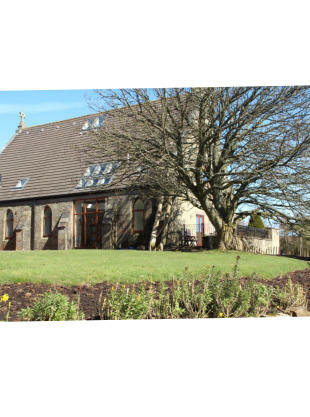 The Church accommodates up to ten people (+1 cot) in five double bedrooms, three of which are en-suite. A large family bathroom and a further separate sauna and shower room complete the extensive facilities. The building is accessible friendly with one bedroom and wetroom along with the internal ground floor built for wheelchair access. Organised cycle rides run nearby and forest walks start from the front door. We accept pets and the local area is used for dog walking and pony trekking. 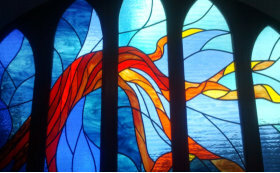 We look forward to welcoming you to The Church at the Old Manse.